Become a D1 Dealer Today! 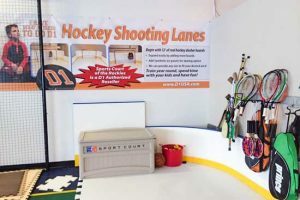 If you are a builder/dealer of game courts, a contractor, landscaper or business interested in reselling and installing D1 Hockey Boards and Synthetic Ice Rinks for the clients you serve, we offer a great Hockey Rink Dealer Program. We look forward to working with you and supporting your client projects! D1 manufacturers Hockey Boards & Synthetic Ice that make year round, indoor or outdoor rinks, along with seasonal winter rinks. D1 ships throughout the United States and Canada. We will calculate shipping at the time of order using multiple freight carriers to obtain the most competitive rate. Several financing programs are available to help with your purchase including 0% Interest, Same As Cash & Interest Only programs. Please call us at 855-355-3131 to learn more.